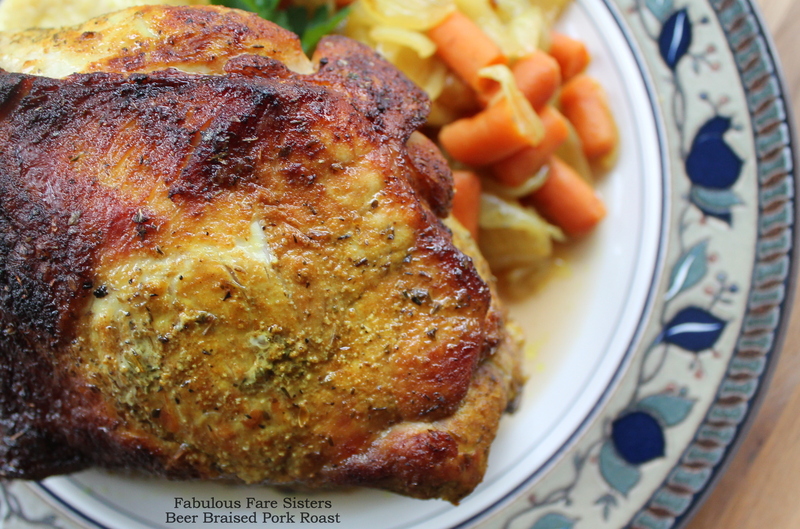 Pork Roasts are so flavorful…We usually have Pork Roasts on New Year’s Day…here’s one that braises in beer and it’s just so delicious…a real winner…Here’s hoping your New Year’s Eve is fantastic and 2017 a banner year! Heat oven to 400°F. Season the pork with the salt, turmeric, oregano and garlic powder. In a deep oven-safe skillet, heat the canola oil. 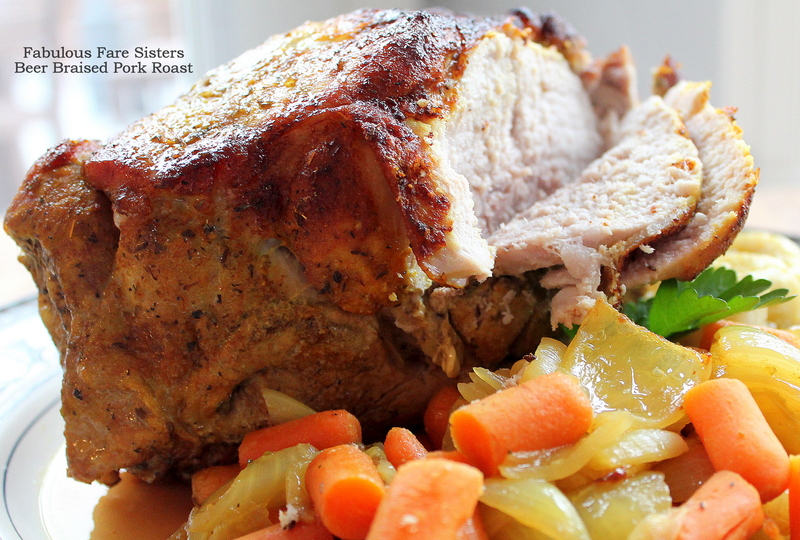 Brown the pork roast on all sides (4-5 minutes each side). Add in the chopped onion and carrots followed by the beer and the chicken stock. Transfer to the heated oven and roast 1 hour and a half or until the internal temperature is 155°F; basting occasionally. Cover loosely with aluminum foil if the roast begins to turn too brown. Remove from oven and cover with aluminum foil; rest a few minutes. Meanwhile, use the drippings in the pan to make a delicious gravy with a bit of butter and flour as a roux a some beef or chicken stock to add some volume. Slice and serve. This looks amazing, Linda! HAPPY NEW YEAR! 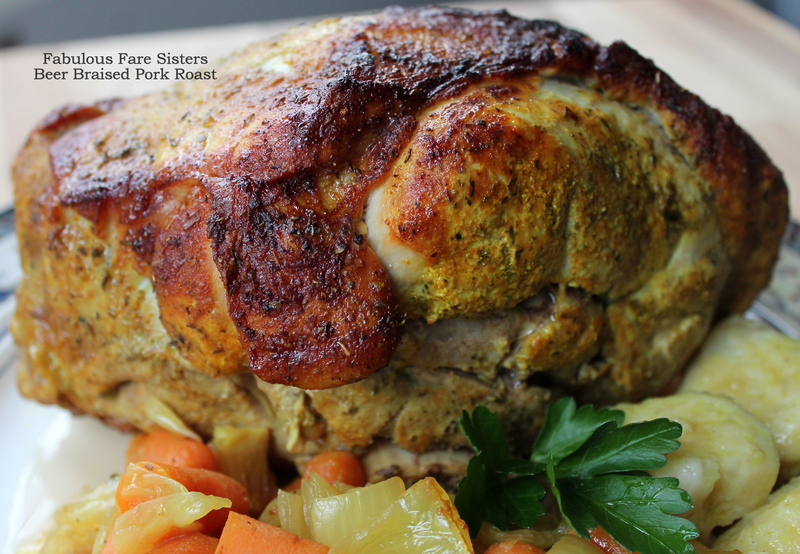 I look forward to trying this Beer Braised Pork Roast along with a good bottle of red wine on our next visit, i.e., if you are up to it.